Roxas gets to end of the World, and sees, Zell trying to oppen the Door to Darkness. The door to darkness opens, and somebody slashes Zell. The man that came out of Darknes, goes back in, and Roxas follows him. When Roxas gets to the other side, the door closes. After reading the note left in traverse town, soul go to the End of the World and finds Chaos standing in front of him with oblivion.Chaos dashes to Soul to attack Soul dodges and Soul counters but is blocked by Chaos' dark aura. Chaos:Why can't we fight in the realm of darkness. Chaos:Use this to unlock your true potential. Soul:Fine,Let's go to this realm of darkness. Chaos:You must use your keyblade to unlock the portal,But I can teleport there anytime I want. Chaos calls up two portals and he go's through one of them and disappears along with the portal. Soul:Oathkeeper unlock this portal to the realm of darkness. Oathkeeper emits a beam that unlocked the portal to the realm of Darkness that sent him into void. Gogo: Let me go, you maniac. Pete: No way, paly. Not while Maleficent is not here. Maleficent: Pete, may I remind you are not incognito any more, release your cloack you stupid dog. Gogo: What do you want from me? Darkness sorrounds Gogo, and starts to take over his body. Gogo takes out Soul - Eater who obeyes Maleficent. 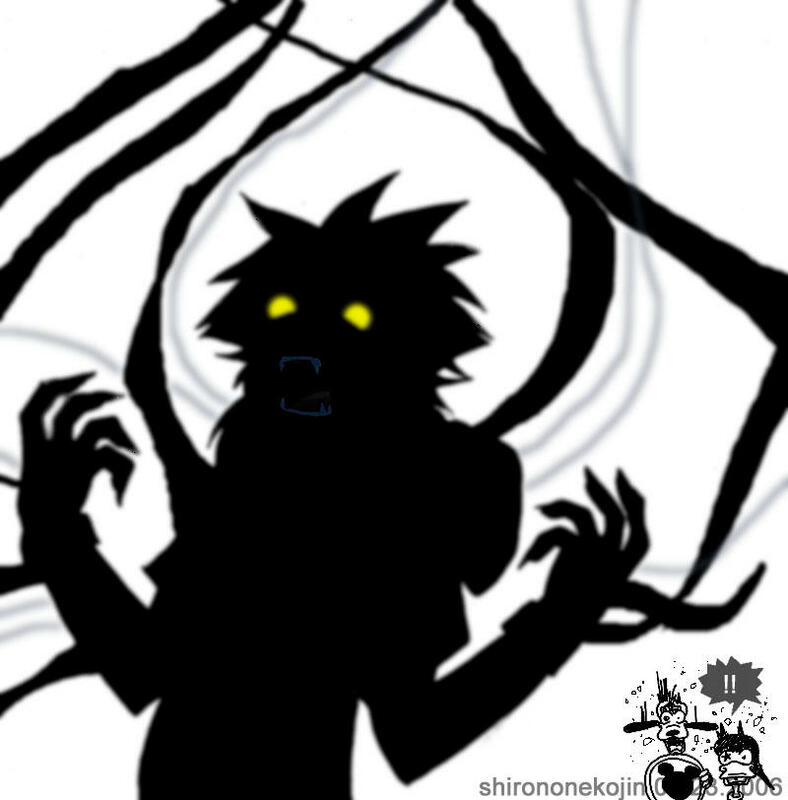 The keybade penetates Gogo´s body and he turns into a heartless. Maleficent: Yes, let it consume you. Hahahahahahahahaha. She summons four Aeroplane heartless. Maleficent: Don´t draw your keyblade,just order them to go away. Gogo orderd them to disapear and they did. Maleficent: Your a heartless master now, and you ae my master as well. You can now take your revenge on Leon. Gogo: Yes, YES! YEEEEEEEEEEEEEEEEEEEEEEEEEEES! Muahahahahahahaha. The three of them lauhgf to the next step planing. Maleficent: Gogo, go to destiny Islands and destroy our competiton, Sora and Riku. Gogo leaves in a dark portal. Gogo: Wellcome to...End of The Word. This is Pete, and you two already know Maleficent. Cecil: What do you want from me and Rosa? Gogo: We want you to join us, there will be a Keyblade war, real soon, and Darkness sure likes having power on its side. Rosa: But,Cecil is not a Keyblade Weidler! Cecil: We will join you. Gogo: Good, now take this. Gogo gives the power to control Heartless to Cecil and Rosa. Gogo Now, follow me, I´m heading for the Olympus Coliseum! The 3 of them go to the Colliseum.